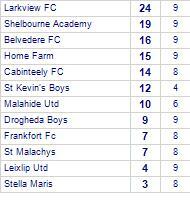 Shelbourne Academy beat Home Farm. 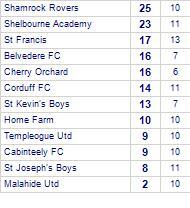 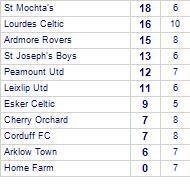 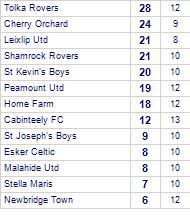 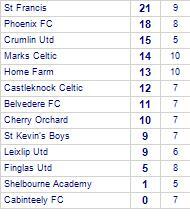 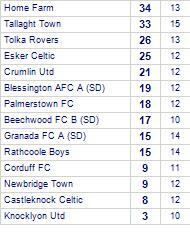 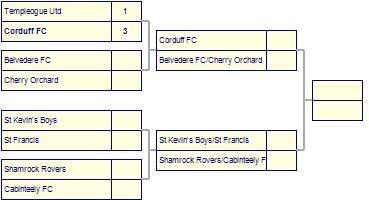 Shelbourne Academy are currently on a winning streak of 5 games.They have won 3 out of 4 home games. 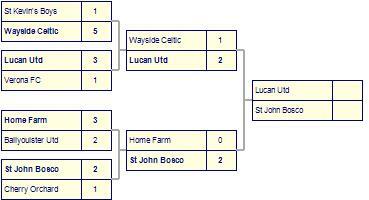 Stella Maris despatched by Home Farm.